Self-drive boat for from 5 to 7 people. The Espade 1150 Fly C has a great living room and your whole family or a group of friends will be welcome on board. Children's discounts: 5% for a child under the age of 16 (on the boarding date) 10% for 2 children under the age of 16 (on the boarding date)for minimum one week bookings. 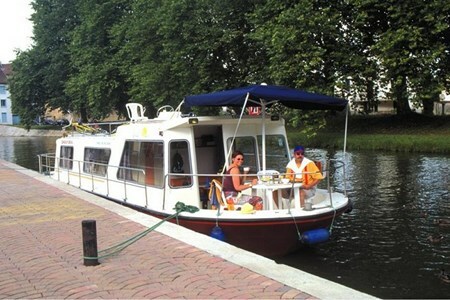 Discount for several boats rented: 5% for 2 boats sailing together for a grouped rental for one week or more. Long-lasting discount: 4 weeks rental and more: 15 % on your cruise. Combining discounts. : All our offers are accumulative until 15%.